The holiday season – when family and friends get together to eat, drink and be merry. It’s a time when the voices of carolers fill the brisk winter air with messages of hope, peace and joy and where family traditions are celebrated and hopefully, carried on for years to come. The year-end festivities may seem magical for many, but for certain individuals such as seniors, it can heighten feelings of isolation and loneliness. Spouses may have fallen ill, or have passed away. Kids and grandkids may be living far away. Close neighbours and friends may have moved away. Whatever the reason, it’s hard not to reminisce about the people in their lives and feel nostalgic about the good old days during this time of the year. The last thing we want is for the seniors in our lives to isolate themselves. Isolation leads to loneliness. And vice versa. 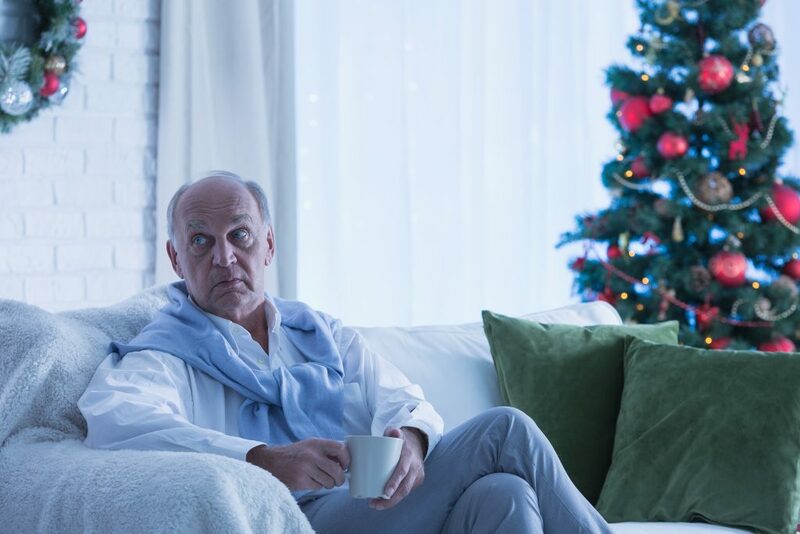 So, what can caregivers – adult children and friends – do to help seniors beat the holiday blues? Little gestures can go a long way in putting a big smile onto the face of someone you care about and love. Be thoughtful. Be caring. Be full of heart. Take the initiative and start a conversation. Lend your ear to them when they want to talk, even if the talk is negative or you’ve heard it countless times before. Empathy is key. Bring up funny old stories while gift-wrapping or baking Christmas cookies. Don’t just invite them over for dinner. Get them involved in the dinner planning, discuss gift ideas or give them a small list of chores. This will remind them that they are part of the celebration and very much loved and needed by the entire family. With advanced age, it is inevitable that people lose contact with their friends. Consider asking your senior relatives if they’d like to invite their friends over for dinner. Be it their usual circle of friends or old friends they have not met in a while, it is the perfect time to catch up with friends and loved ones. Every family has its own unique holiday traditions. Inevitably, it brings back bittersweet memories, particularly for seniors who are still grieving for a beloved partner, family member or friend. To help them move on, start a new tradition – have Christmas dinner in someone else’s home, volunteer at a soup kitchen or consider travelling to another destination. If the senior is living in an assisted living facility or nursing home, organise a visit from the kids in the local kindergarten. Spending time with the kids could be the boost the seniors need to put a smile on their faces. These kids could entertain them by singing Christmas carols or performing a nativity play. They could even help out with the Christmas decorations. It doesn’t have to be something lavish. When popping by for a visit, bring traditional baked goods or treats such as cookies, log cakes and Christmas pudding that they could share with their family and friends. There are plenty of things you can do, but ultimately, the Bayshore HealthCare family believes that to the seniors, the occasion doesn’t matter. What matters is whom they spend it with. Devoting time to these special individuals in your life is the best way to spread the festive cheer. Play old songs, crack jokes, laugh and create new memories. Look at old pictures together, take new ones and make sure the elders have new memories to add to their collection on their walls and in their hearts. Remember that the Bayshore team of caregivers can be there for your loved ones when they need a little day-to-day help at home – call us at 1-877-289-3997 or visit www.bayshore.ca to learn more about how we can assist with housekeeping, medications, companionship and more. If you are a family caregiver, we want to hear about the lessons you’ve learned while caring for your loved one. In our “Tell us your caregiving story” contest, share with us your caregiving journey. Join us in raising awareness of family & informal caregivers across Canada – plus, you’ll be entered to win $1,000 toward Bayshore home care services.